Stuartholme provides reciprocal exchange opportunities with approximately 25 Sacred Heart Schools worldwide through our Exchange Program. 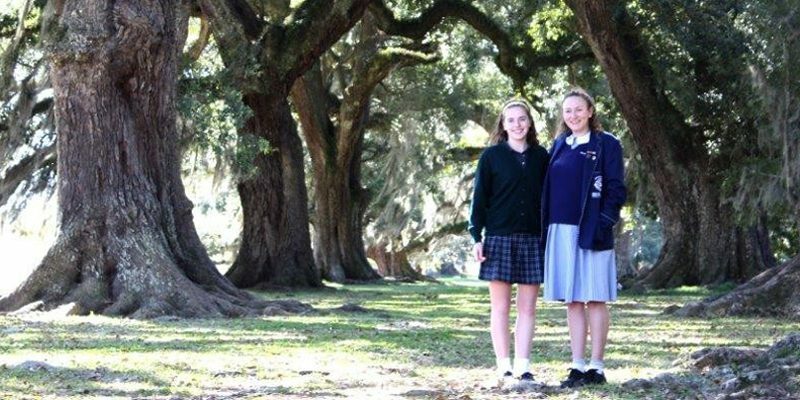 Stuartholme’s Student Exchange Program provides many benefits for each girl participating. It is an ideal platform for fostering maturity, personal growth, building confidence and gaining independence. It also promotes cultural awareness and provides the opportunity to create lifelong global friendships whilst reinforcing connections to the Sacred Heart Network. The Exchange Program is comprised of the ANZNet Exchange Program and the International Sacred Heart Exchange Program. Stuartholme School is one of four Sacred Heart Schools who make up the Australia and New Zealand Network of Sacred Heart Schools (ANZNet). The four schools share a close relationship and participate in regular exchanges throughout the year. Stuartholme is also part of a larger network of International Sacred Heart Schools that actively participate in a reciprocal exchange programme. International exchanges are available to girls in Years 10, 11 and 12. This program allows our girls the opportunity to experience other cultures and educational environments, while spending time with girls of their own age in family situations similar to their own. For more information about the Stuartholme Student Exchange Program, please telephone Kerry Moran on +61 7 3369 5466.